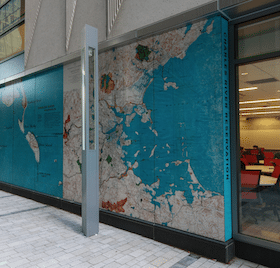 From a 21-panel, 20-foot high HDP laminate exterior wall fixture to interior signage and vinyl graphics, we are delighted to say that Metro Sign & Awning was involved in Suffolk University’s bold new look – long before the building project was finished. Metro Sign has been excited about Suffolk University – 20 Somerset in Boston since before construction began in 2013. The building is home to the university’s Communication & Journalism Department, and houses several levels of science education, including separate floors for Biology, Chemistry, and Physics. Working with Ted Butler, project manager at Suffolk Construction, made the job that much more enjoyable. At every stage of the long and complicated project, Butler and everyone at Suffolk Construction was professional and extremely competent. We will surely enjoy watching the university continue to grow, and look forward to working with Suffolk Construction in the future. 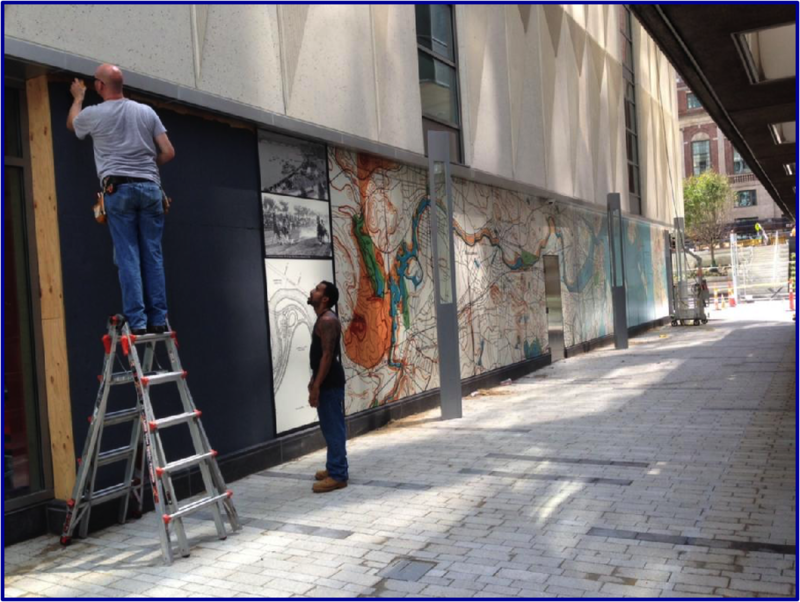 The high pressure laminate (HDP) exterior wall mural required considerable engineering expertise and the utmost in coordination and communication to ensure the seal on the curtain wall and the panels would perfectly fit in the Z-Clip System. Metro project manager Glenn Metallic did an excellent job, the project over shortly after construction began, and not missing a beat to see it to successful completion. 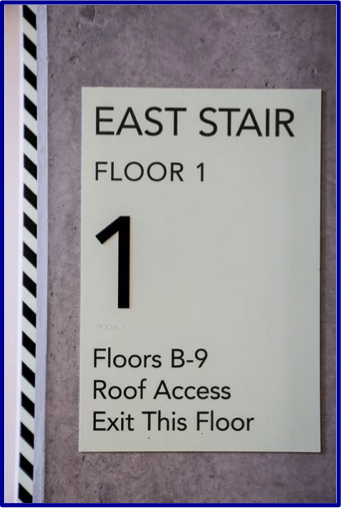 While interior signage may not capture imaginations like an artistic mural, it requires every bit of the planning and attention to detail that many larger signs do.Think about how important even “basic” signage can be to the daily use and operation of a busy public building. 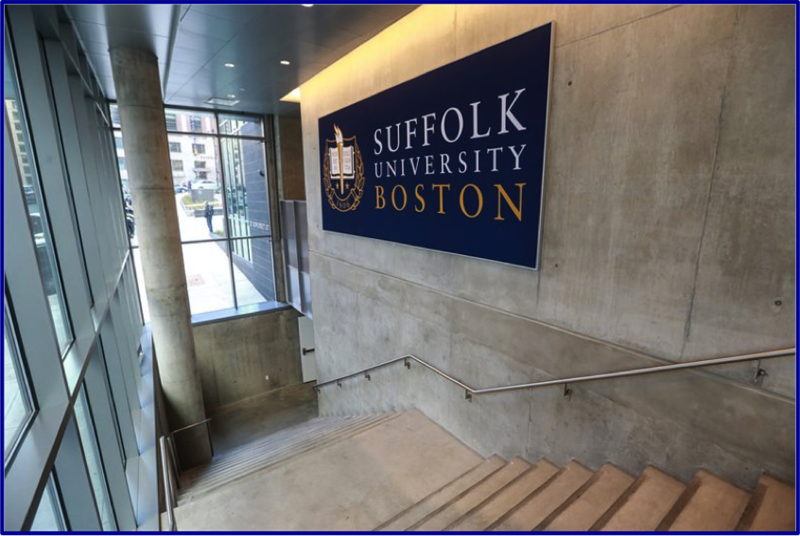 If you’re familiar with Boston construction and development projects, you know that the bulk of work at Suffolk University was completed last fall, including the signage. More recently, Metro designed and installed numerous vinyl signs for the campus. Visit Suffolk University’s website to see how it is preparing students for the future. Follow us on Facebook or LinkedIn to watch for more good things to come, from Metro Sign & Awning and our many partners. Need a professional signage partner for your upcoming project? We can help.